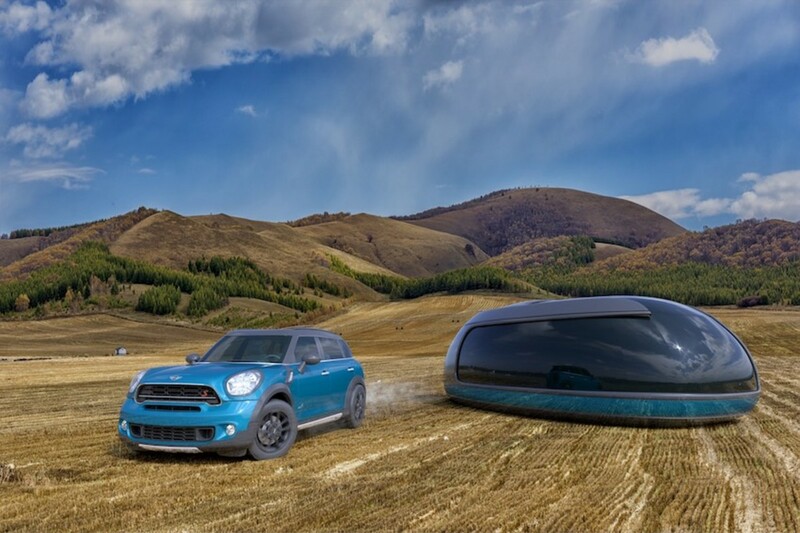 International advertising company Anomaly, in collaboration with Fabian Mazzola of Bitlens Studio, has created a luxury camping pod influenced by MINI‘s F60 Countryman. 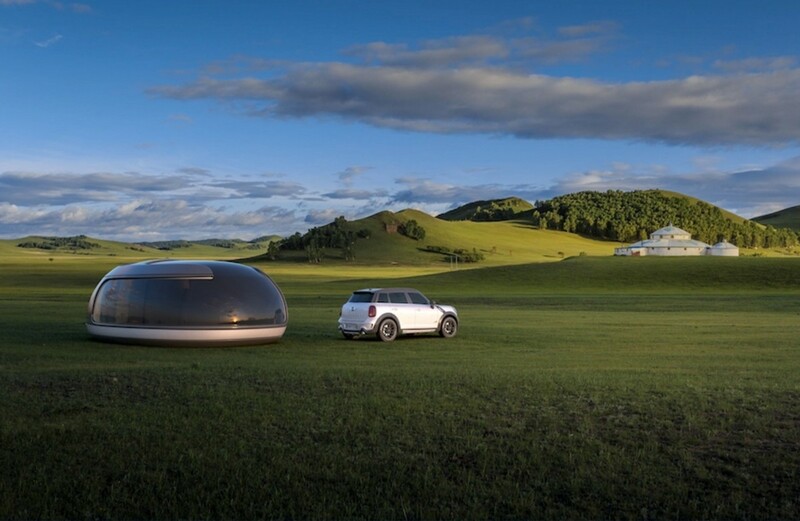 The concept reflects MINI’s philosophy and takes the car’s compact, round shape. 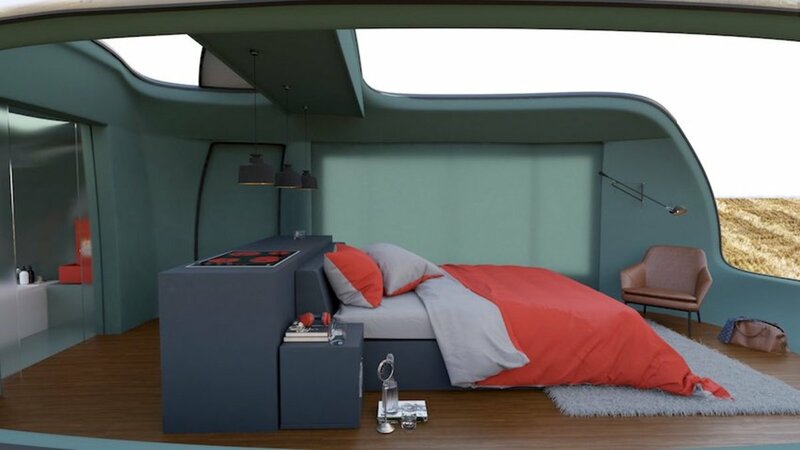 The pod features a completely functional living space, a kitchen, bedroom and bathroom. 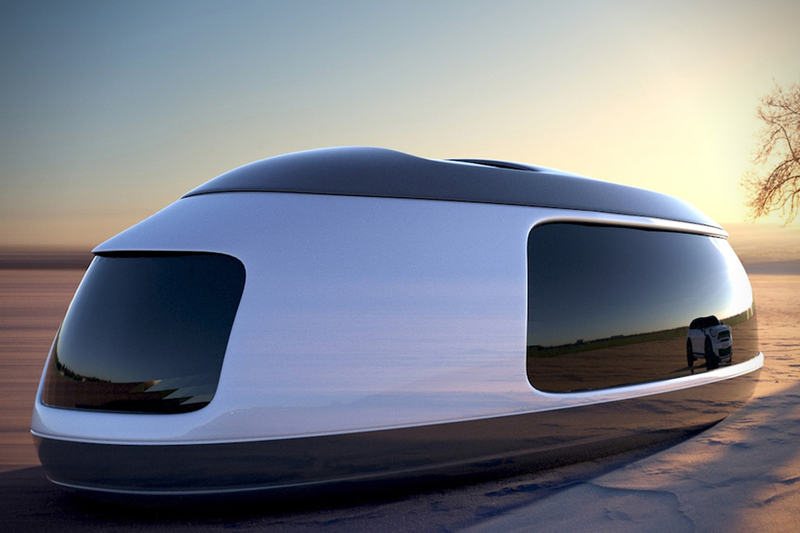 Bitlens Studio + Anomaly’s award-winning concept camping pod is self-sustainable and clad in weather-sealed material, giving it the ability to withstand a multitude of climates. 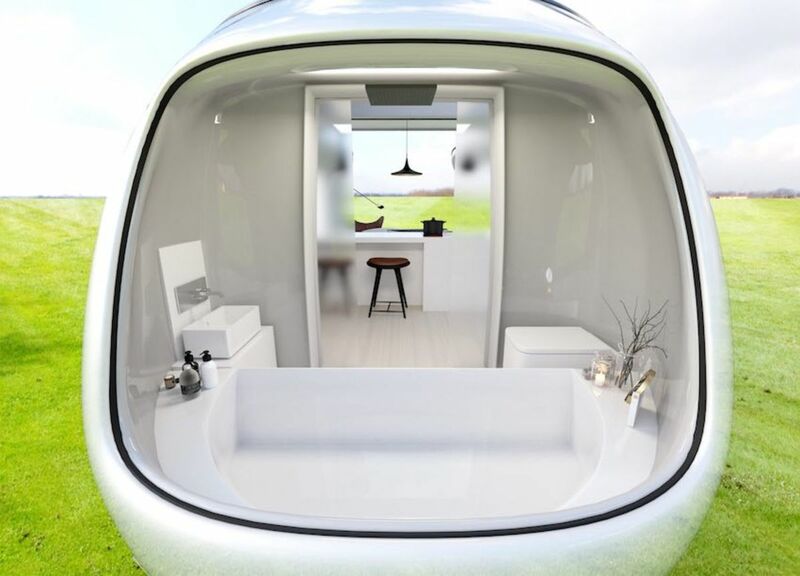 Although compact, the pod includes the necessary amenities that one can find in their own home. 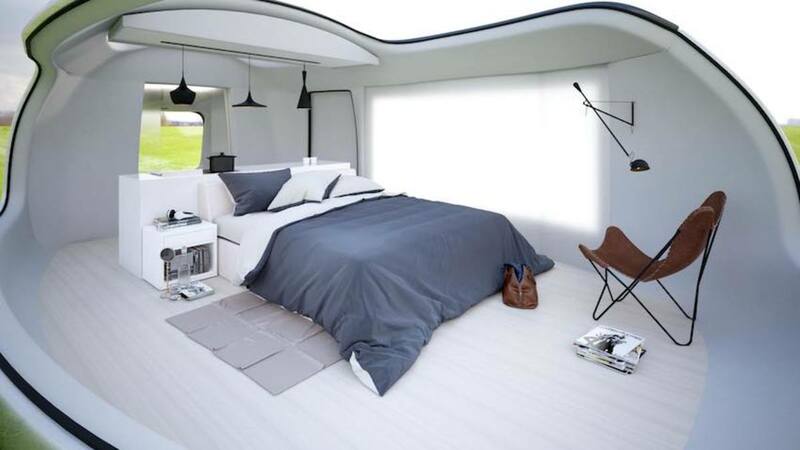 “This idea came up as I wanted to create an idea, an illusion of a futuristic pod that came with all the accommodations a home has” explains the designer. 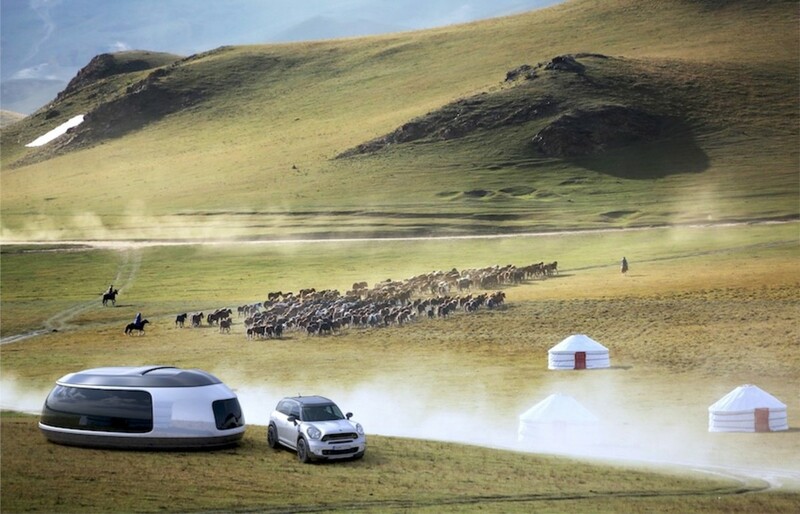 If you’re looking for unusual cars you should check our list of the most expensive car in the world.